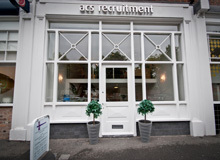 ACS are currently recruiting for a Post Completions Assistant for a Merseyside based firm. Working within our New Business team, our New Business Assistants play a valuable part in contributing to the first class service provided to our introducers and clients in residential conveyancing matters. Proactive Management of a pipeline of Enquiry cases to maximise the conversion of the enquiries into instructions and to ensure files are opened within agreed SLA timescales. Ensuring that outbound welcome calls are made on all new matters within agreed SLA’s and recorded on the case file as evidence of the same.